Earning more money as an ESL teacher isn’t as hard as other professions. This is because the demand for native English teachers is so high and the number of English learners overseas is increasing more and more every year. Plus, English teaching can’t be automated so you don’t have to worry about a robot replacing your job. That’s why TESOL teaching is such a great career choice to secure your future. 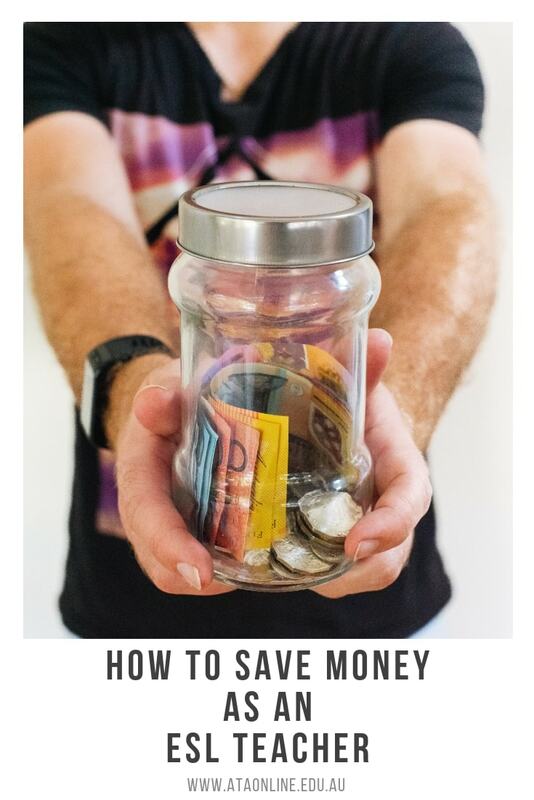 We know that you learned how to save money as an ESL teacher on this blog. But now you want to increase those savings by earning more money. Well, here is the post you’ve been waiting for. 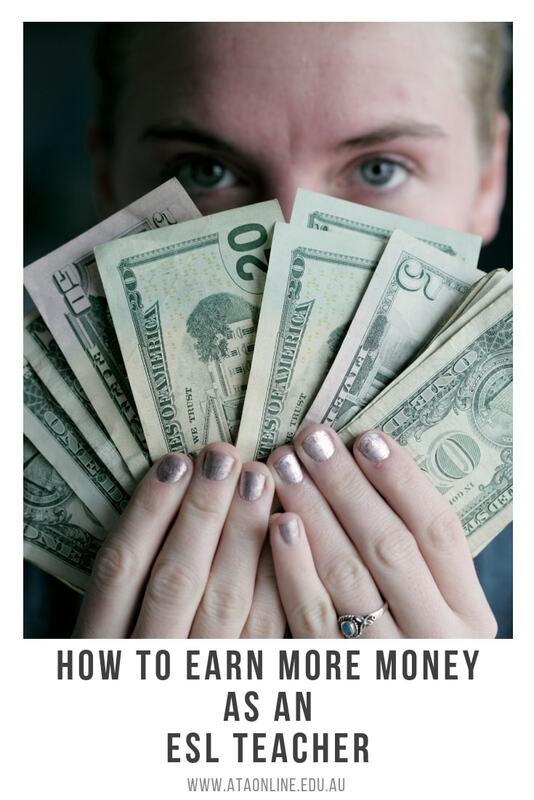 Here are our tips to earn more money as an ESL teacher. This is a handy activity to prepare your Business English students for the business environment. According to Finder.com.au , Australian debt is the highest in the world, with Australians relying heavily on loan products like credit cards and car loans. The debt has increased from 104% in the 90s to over 212% per household in 2015. This means if the average person earns $80,000 net, they are spending $169,600 per year. So, most Australians have no way to save money while living and working in Australia. That’s why many of our ATA TESOL teachers made one of the best decisions of their lives to become conversational English teachers overseas. Many have thanked us for opening up a world of travel, career opportunities, and increased savings or ways to eliminate their debt for them. Here are our tips to save money as a TESOL teacher overseas. This post is by Kyo from Tokyo, Japan. He is our amazing intern here at ATA TESOL College. 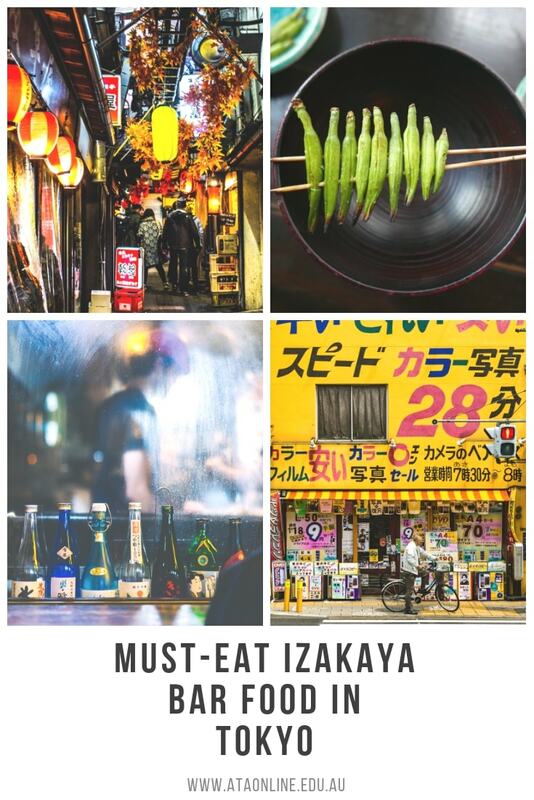 Today he will share with us the best foods to eat at an Izakaya, a Japanese bar with food, in Tokyo. There are also a lot of bar in Japan, we call this “Izakaya”. Izakaya is very different from western bar. Today, I am going to introduce Japanese bar to you more deeply. The best way to experience Japan and all it has to offer is by becoming a TESOL teacher to teach conversational English. Make sure to check out our courses page to find out about TESOL. Or email us at enquiries@ataonline.edu.au to find out more today! You’ve just completed your TESOL certification with ATA TESOL College and you are now qualified to teach English as a Second Language (ESL) overseas. You have contacted our amazing job support team and landed yourself your dream job in China. You have no more rent to worry about, because your accomodation is included, you have so many exciting new cuisines to try, and you have met some other ESL teachers who are with you in your apartment or at your new school. But you have never taught conversational English before and you are feeling a bit nervous. Don’t worry! There is nothing to be nervous about. Being a TESOL teacher is a rewarding and exciting experience, even if you are an introvert like me. You have to remember, everyone was new to a job at least once in their lifetime. And the schools understand that you are new to teaching. For beginner TESOL teachers, we have some handy tips for you. Lin Nyunt, an ATA TESOL graduate, is currently teaching in Japan and has combined his love for travel and teaching to become a TESOL teacher and a Vlogger in Japan. Make sure to watch his video at the end of this post and subscribe to his channel here. Here is a recap of some of his great tips for first-time teachers and we have added some of ours to the list as well. Feel free to comment with any additional tips that you may have. Smile – As cliche as it sounds, a smile is one of the simplest ways to make your students feel more comfortable in you class. Ask them about themselves – Engage your students in conversation during the breaks or before class starts. Find out their likes and interests and use this information to tailor some of the activities to their interests. Don’t take yourself too seriously – The students have difficult classes all day long that account for their formal grades. English lessons with TESOL teachers are known to be more engaging than grade focussed. So, try to make your lesson fun and more light-hearted. This will give your students a break from the monotony of grade based learning and they will be more inclined to learn English if they get to have fun learning it. Try to be energetic to engage students – Even if you are an introvert, try to be energetic in class. This is where the Total Physical Response (TPR) method that you are taught in our TESOL Course comes in handy. Use your whole body when demonstrating new vocabulary and encourage your students to do the same. Don’t just stand in one spot at the board while lecturing to your students. Move around the classroom to hold their attention and keep them engaged. Students learn from animated actions – I like to say that being a TESOL teacher sometimes feels like being an actor. This is because the students enjoy animated and lively facial expressions and vocal tones. They also love to laugh at my over-exaggerated actions in the classroom. The students will laugh and participate more and as we all know, happy learners are better learners. Be silly and have fun – The students will be more relaxed and will want to talk more to you in class and outside of class. The goal of an ESL teacher is to get your students to talk more. You are a native speaker and the best way to improve their English is by talking with you! So, the more comfortable they become with you then they will speak more. Kick start your career as an English (ESL) Teacher with ATA TESOL College. We offer Internationally Employer Recognised and Australian Nationally Accredited TESOL courses. Email us at enquiries@ataonline.edu.au to find out more today. This is Kyo from Tokyo, Japan. He is our amazing intern here at ATA TESOL College. And yes, he recently met Elvis! Kyo is a Japanese local, so he is the best person to recommend insider Japanese knowledge. Today he will be introducing different Japanese foods that you must try when you visit Japan. The best way to experience Japan and all it has to offer is by becoming a TESOL teacher to teach conversational English. Make sure to check out our courses page to find out about TESOL. In Japan, there are a lot of Japanese foods such as sushi, okonomiyaki, ramen and so forth. Today, I am going to introduce to you Japanese food more deeply. The ATA TESOL College has over 15 years of ESL industry experience. 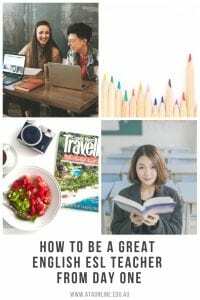 Our blog is a great place for all prospective TESOL teachers to learn more about the ESL industry and the many destinations that TESOL teachers work in.